Description Who could ever think that little cars can fight with monsters? 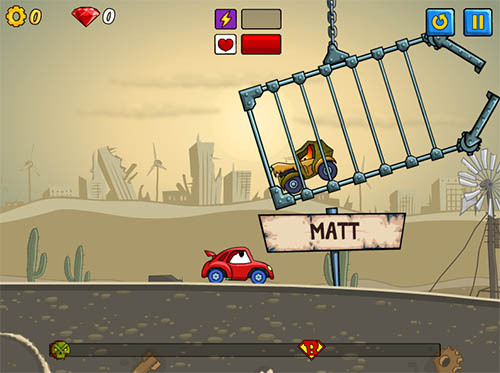 It's a continuation of the Car Eats Car with even more challenges! Controls: Up - Accelerate, Down - Brake & Reverse, Left/Right - Balance, Z/X - Turbo, Space - Bomb.